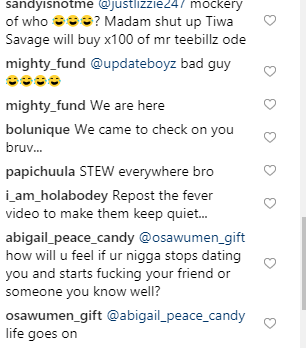 The followers of Tiwa Savage’s ex, Tunji Balogun, aka Teebillz, have camped in his Instagram page comment section, asking him, if he has seen the new Fever video, released by Wizkid. 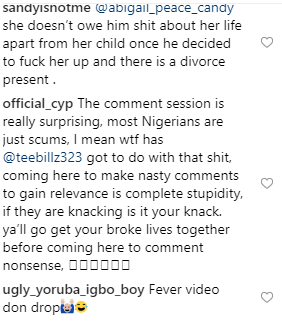 Wizkid released the video on Wednesday, which showed him and Tiwa in a raunchy mode. 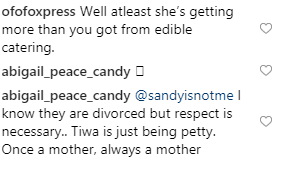 Tiwa Savage played a vixen in the video, which has become the talk of social media, since, it was released. 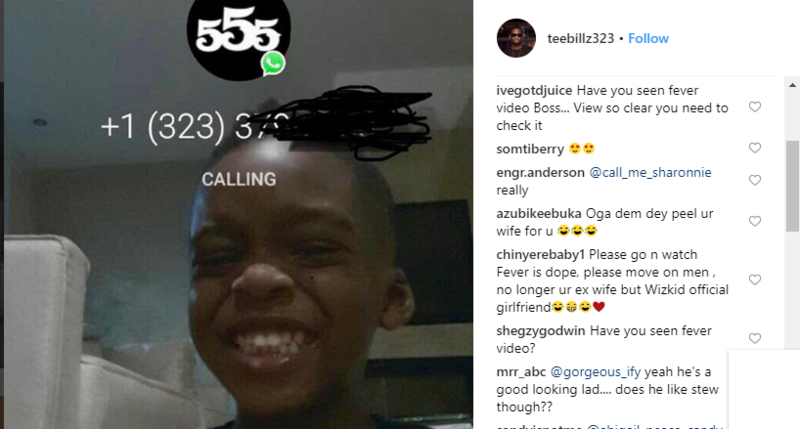 On Teebillz’s last post, which showed a screenshot of a Whatsapp call with a smiling young boy, which he captioned, “My G”, his followers kept dropping comments asking him to go and see the video.